AFK, Again (2013) by Huckleberry Hax – What the Huck? I don’t believe in God and I don’t believe in the Devil, but I do believe that life is an ongoing battle between good and evil. Good is optimism and compassion and gentleness and empathy and joy. Evil is hatred and anger and bitterness and jealousy and apathy. And the only thing which can be found in both good and evil… is love. THE RETURN OF THURSDAY. 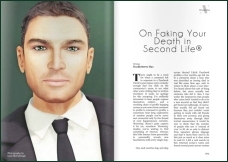 Step Stransky is dead and now all that Definitely Thursday – the remaining partner of the Step Stransky Second Life® Detective Agency – has to do is live with the fact of being his killer. The sequel to AFK. 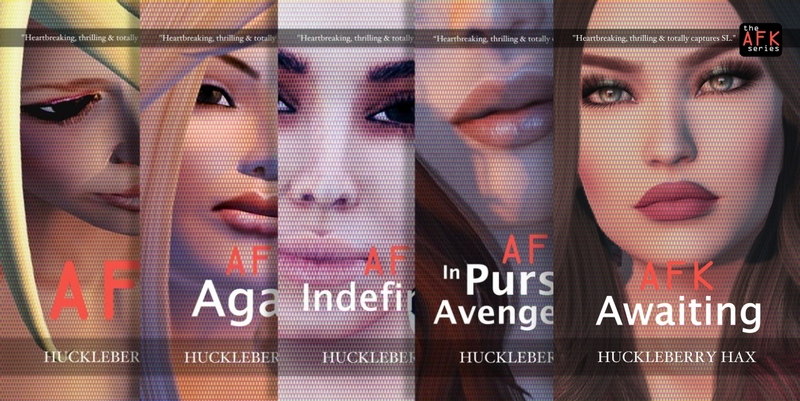 And now read books three and four: AFK, Indefinitely and AFK, in Pursuit of Avengement. Amazon Kindle: Due to the way that Amazon operates in different countries, it’s best if you obtain your copy of ‘AFK, Again’ from your ‘local’ Amazon website.